The lever placed above each group head gives the barista total control over the brewing process. 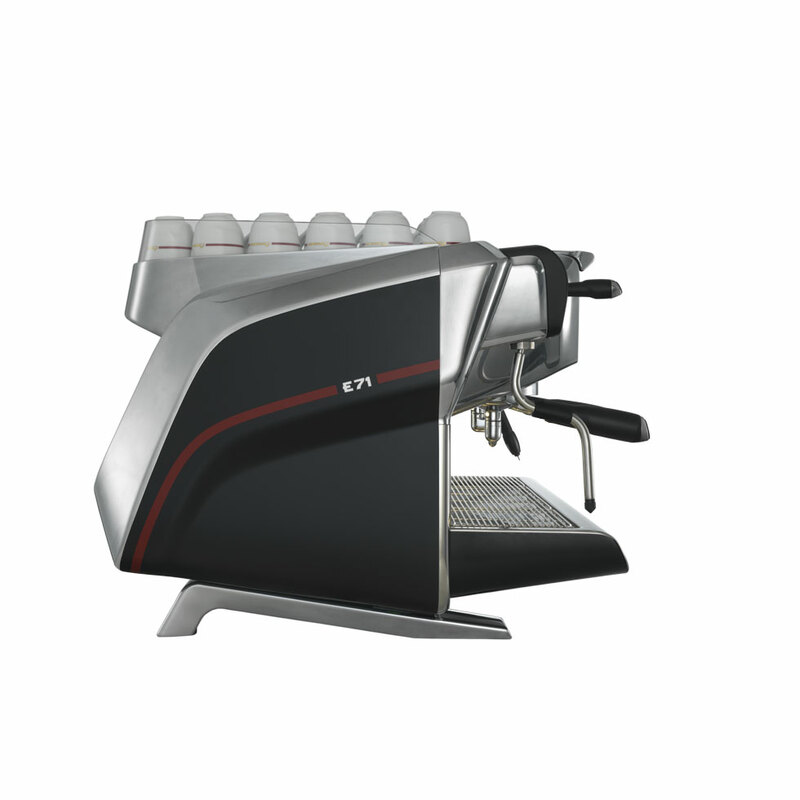 Alternatively, the barista can choose digital mode by use of the 4.3" touch screen display. 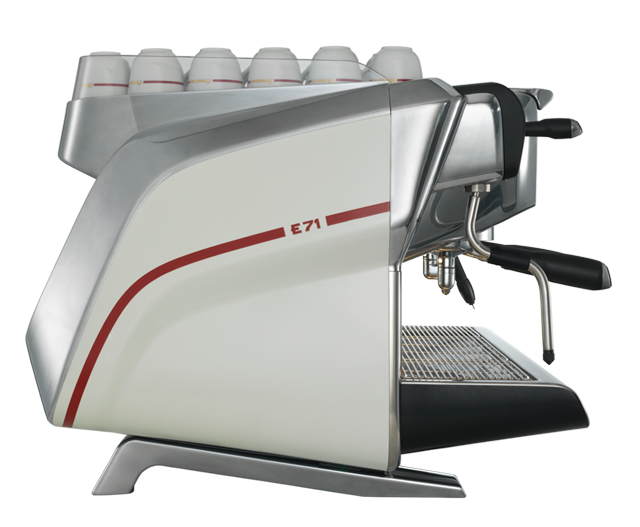 With the “self-learning” mode, the barista can set up every display button while managing the coffee delivery cycle with the lever. Patented software which increases hot water and steam performance, avoiding production drops also during rush hours. 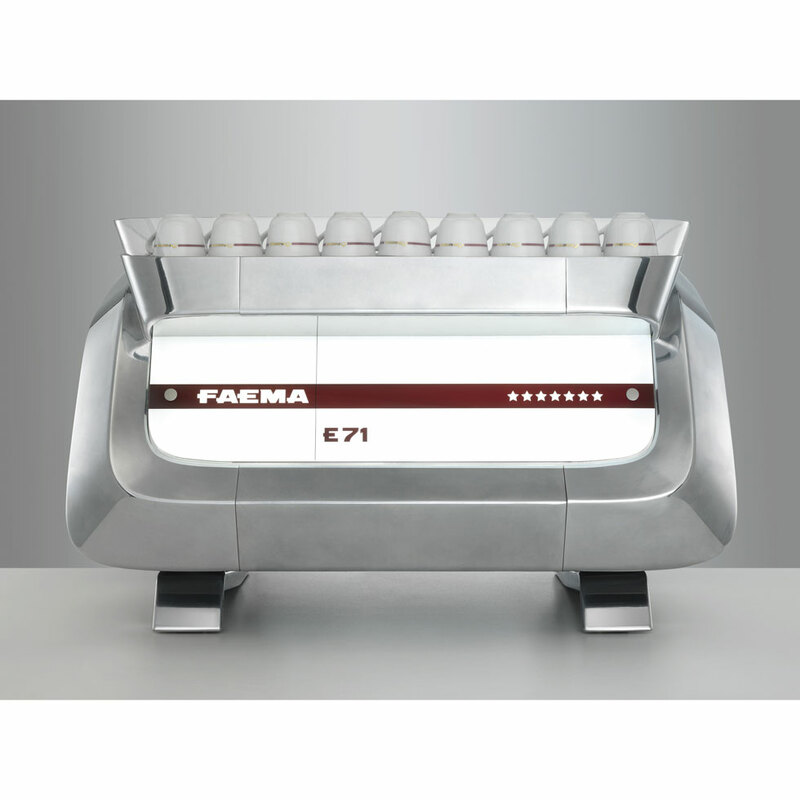 Insulating, non-stick outer coating on the automatic steam wand to keep its surface cold before, during and after steam delivery, and while the milk is being frothed. It also guarantees an easy safe cleaning. E71 enables remote communication thanks to the WIFI SYSTEM (optional) which allows to receive information and statistics on functionalities and consumption.